A royal treatment is what you get at Luxury Casino UK. The casino itself is licensed under the UK Gambling Commission, The Malta Ga ming Authority, and is under the jurisdiction of Malta and thus is part of what it known as the mega group, Casino Rewards. The casino offers every kind of slot machine and table games you would expect from any casino. 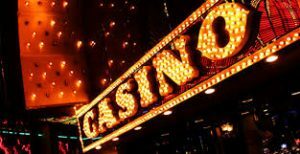 The good news is that the casino not only offers British pounds sterling, but also Canadian dollars, United States dollars, and Euros along with more than one language including French, Spanish, Italian, German, and English. There are countries that are not allowed to play at this casino which include The United States, Belgium, Congo, Western Sahara, North Korea, Mauritania, Burundi, Cape Verde, Central African Republic, Hong Kong, Iraq, Liberia, Libya, Malawi, and several more. The gaming experience at Luxury Casino is one that is fun and exciting similar to being in an offline casino without all the noise of other players. The graphics, sounds, and excitement are much better than many other casinos online and the gameplay is quick. You do not even have to worry about lag unless you have a very old computer. The most popular slot machines at Luxury Casino UK include Thunderstruck II and Immortal Romance along with several huge progressive games. Table games are also very popular which include blackjack, three card poker, roulette, dice, Caribbean Stud, and Poker Pursuit. You are sure to love the fun and excitement no matter which game you choose to play, slots or a table game. All slot machines offer the best gaming provider which is the micro-gaming platform. When it comes to high-quality slot machines micro-gaming has always been at the top and the most popular. The main bonus terms include that after your 4th deposit you will receive a 50 percent bonus; on your 5th deposit, you will receive 100% bonus as well as on your first bonus. Of course, you can also receive bonuses on various slot machines including cash prizes and free spins. The Luxury Casino offers several different games that you can play on your compatible mobile device. What this means is that no matter when the mood hits, you can gamble and have fun while winning money. The environment, of course, is secure so you never have to worry about the casino environment on your mobile device. Luxury Casino offers several different deposit methods including Skrill, Trustly, eChecks, UseMyFunds, Kalibra Card, Bank Wire Transfer, and several others. This casino has more deposit methods than any other casino found online. On the other hand, you can only withdraw using Skrill, EZIPay, Entropay, Visa, Visa Electron, Visa Debit, Postepay, PayPal, Neteller, Maestro, Kalibra Card, and ClickandBuy. The limit in order to withdraw, is 4000 USD every week that win at least five times than the amount of their deposit. The Luxury Casino wants to ensure their customers are 100% satisfied at all times; therefore, they provide several ways for players to contact customer service and receive the best service possible. They offer live chat, email support and telephone numbers for Canada, the United Kingdom, Denmark, Germany, and even International. No matter how you contact the casino, you will receive a prompt answer whether you are having a problem with a game, have questions about depositing or withdrawing. Even if you have a complaint, you will receive courteous service from the customer service department. Remember, without you, the casino, would not be available. They need loyal customers that will spread the word about their fair games and their friendly customer service representatives.